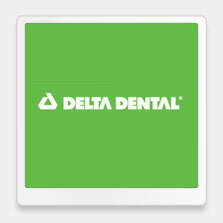 As your Delta dental insurance dentist in West Hollywood, Dr. Ghasri blends science and precise artistry to give you the healthy, beautiful smile of your dreams. Our dental clinic offers general, restorative, orthodontic, cosmetic, endodontic, and periodontic dental services to help maintain your oral health. We offer flexible hours in order to accommodate your needs, and we have a dentist on call in case of emergencies. General and restorative dentistry is designed to protect or restore your oral health. As a West Hollywood Delta dental insurance dentist, Dr. Ghasri can perform comprehensive dental exams, offer porcelain or tooth-colored resin fillings, inlays or onlays, crowns, and other procedures to restore your health and ensure your smile is the best it can be. If you suffer from misaligned teeth, we can also offer orthodontic treatment to bring your teeth back into alignment, improve your oral health, and ease the discomfort and pain that are often associated with misalignments which can increase the risk of TMJ disorders. We also offer a full range of cosmetic options for those who are seeking to enhance their smiles. As your Delta dental insurance provider in West Hollywood, Dr. Ghasri offers a variety of teeth whitening options to remove extrinsic stains caused by foods, beverages, and lifestyle factors. We also offer porcelain veneers and Lumineers, both of which may be appropriate choices for intrinsic or internal tooth stains or minor imperfections, such as gaps, unevenness, or slight misalignments. As a West Hollywood Delta dental insurance provider, our dentist, Dr. Ghasri also has extensive experience in periodontal treatments and can provide you with dental extractions and implants, scaling, periodontal surgery, bone graft, gum graft, and other therapies. If you have lost a tooth or teeth due to gum disease, decay, or trauma, we can help restore it with bridges or partial or full dentures. Contact our dentist in West Hollywood today to schedule your dental exam or to learn more about your options for a healthy, naturally beautiful smile.